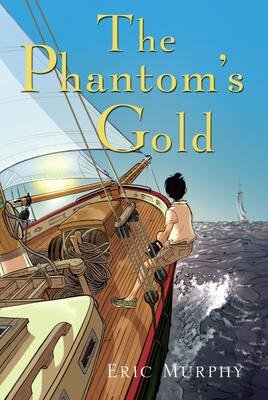 With his father gone and his mother’s focus on a would-be suitor, thirteen-year-old William decides to find a new home with his father’s family in Nova Scotia. An encounter with the ghost of his infamous ancestor Bill “the Real” McCoy spurs Will on to do what he can to secure his family’s legacy and tradition even if it means facing his fear of water and searching for a potentially non-existent stash of gold. This book was my favorite out of all the books I have ever read. I recommend this book to everyone!!!!!!!!!!!!!!!!!!!!!!!!!!!!!!!!!!! So far I love this book . This book is so sad and good in the beginning . IT is sad but it is so sweet at the end.